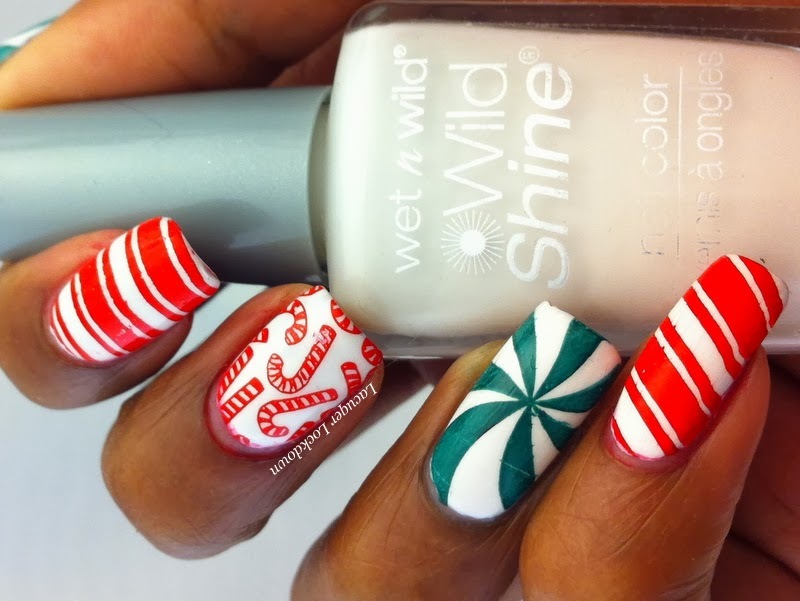 It's getting to be a bit of tradition that I break out candy cane nail art. Last year I did it with watermarbles, but this year I have lots of cool plates featuring candy cane-eque imagery that I wanted to try. If you follow me on instagram you know I just got the other half of my MoYou London stamping plate order from way back in October and it has the Festive Collection plates that I adore. There are literally candy canes everywhere so I could resist taking some of my holiday plates for a late spin. 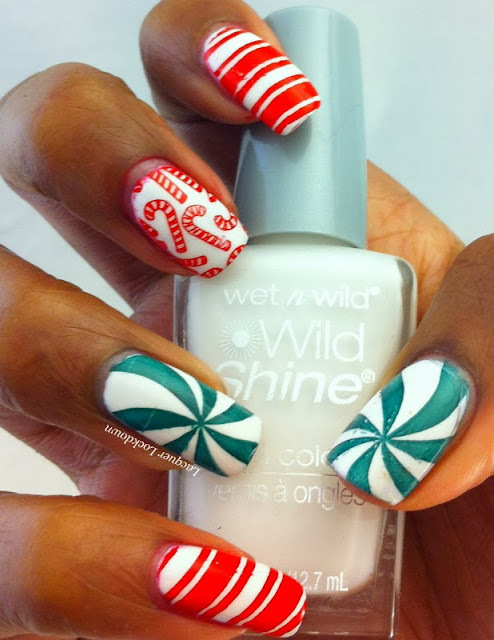 One this I have always loved are the candy canes with the multiple stripes of color that's what I modeled my watermarble last year, but this time I just wanted to stick with traditional swirls and stripes mimicking the classic candy canes that abound around this season! So thoughts? This mani is pretty easy and straight forward taking me roughly 15 minutes to polish and complete, and because it is so simple I got a lot of compliments on this one. Winning when you are rushing around during the holiday season! You can check out the festive plates here. In all honesty they are worth getting even if you are preparing for next year so you won't be like me rushing to fit in all of the mani's I want to see on my nails before Christmas is gone or until July when I have some fun plans. In any case thanks so much for reading and I'll see you next post!